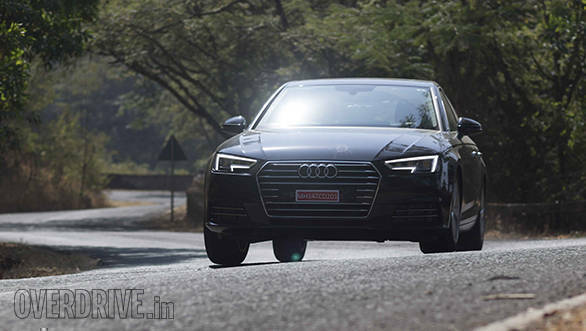 Audi India introduced the next-generation A4 in October last year. So far, the A4 is available with the 30 TFSI 1.4-litre turbo petrol engine that makes 150PS of power and 250Nm of torque. 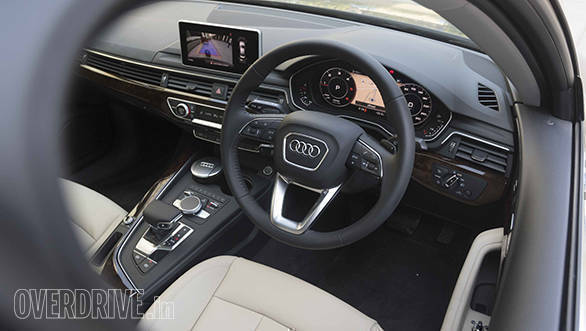 During the launch, the carmaker had stated that the A4 35 TDI would arrive in showrooms soon. 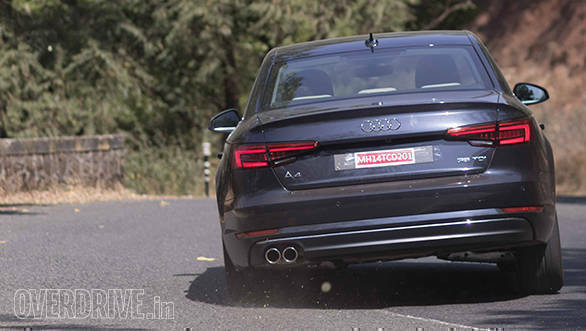 Well, we have just spent an entire day with the A4 diesel and it could pose a serious threat to the Mercedes-Benz C 220 CDI. However, does it offer a better deal? 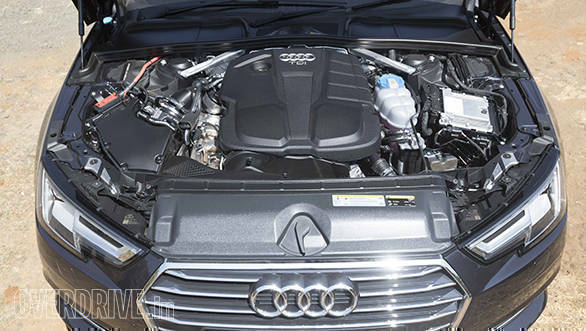 The biggest talking point of the new A4 diesel is its 1968cc 4-cylinder direct-injection turbocharged DOHC engine. This unit makes 190PS of power between 3,800-4,200rpm and 400Nm of torque between 1,750-3,000rpm. The engine sends power to the front wheels and is mated to a 7-speed dual-clutch transmission. The first thing about the engine that catches your attention is how refined it is. There is a slight clatter at idle, but once on the move, one can barely tell that there is a diesel unit under the hood. The highlight of this motor is the addictive manner in which it delivers the torque. Step on the accelerator and the engine begins pulling from 1,800rpm. But the rush gets much stronger as the tacho needle surges past the 2,000rpm mark and you get pushed back into the seat. The best bit is that there is no let-down in power, and the engine pulls relentlessly right till the 5,000rpm redline. As a result, overtaking manoeuvres get executed quickly irrespective of the speed you are cruising at. The icing on the cake is the S Tronic dual-clutch transmission that offers seamless shifts. The paddle shifters require minimal effort to engage and offers quick upshifts. However, the downshifts aren't quite as quick. When you are not in a hurry, it's best to engage Comfort mode which really calms down the engine. The engine doesn't respond aggressively to accelerator inputs which makes it ideal for cruising around town, and filtering through traffic is effortless. While driving to Lavasa, we switched to Dynamic mode. The engine began responding eagerly to accelerator inputs while the transmission held on to gears a bit longer. Perfect for the well-paved ghat section with plenty of tight corners. Audi claims a 0-100kmph time of 7.7 seconds for the A4 35 TDI and a top speed of 237kmph. Additionally, it has an ARAI-rated fuel efficiency of 18.25kmpl. We drove the test car from Baner to Lavasa and back, and the on-board computer displayed an average fuel efficiency of 16kmpl. We will get to know the real-world performance once we subject it to a road test. Just like the petrol version, the ride quality on the A4 diesel remains impressive irrespective of the quality of surface you are treading on. The suspension does a good job at soaking up the impact from minor bumps and undulations. However, it tends to crash through some of the really large and sharp potholes. The light steering and good visibility makes it an easy car to drive in the city. It turns in quickly and body roll is well contained. The steering weighs up well with speed but we would have preferred a bit more feedback. Like any German car, high-speed stability is very reassuring. The brakes do a good job at shedding speeds quickly. Overall, the new Audi A4 is a complete package. For starters, it looks good from every angle. The new hexagonal grille, headlights with dual DRLs along with the sweeping LED indicators and the large air dams offers a near-ideal blend of sophistication and aggression. The cabin feels premium and uses high-grade materials. Audi has paid attention-to-detail, and every bit feels built to last. 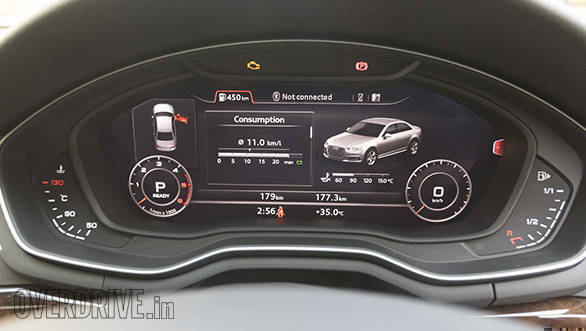 The fully digital instrument cluster, aka virtual cockpit in Audi's terminology, continues to fascinate. It can be set up to display navigation as well as infotainment data. The updated MMI system gets the touchpad rotary dial from its more luxurious siblings. Also, the cabin offers a reasonable amount of space and the large seats offer a good amount of support. Additionally, there's no doubting that the A4 is a very comfortable car to travel in. Clearly, there are a lot of things working in Audi's favour. However, one of the most important parameters for prospective buyers in this segment is the asking price. If Audi manages to price the A4 35 TDI lower than the Mercedes-Benz C 220 CDI, then it will manage to attract a lot of attention. 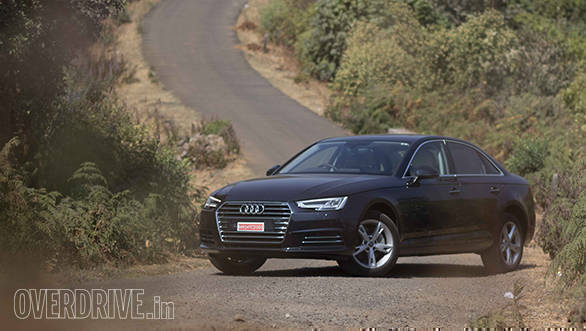 Although they have created an impressive package, will Audi India be able to pull off an impressive pricing? We'll find it out soon.